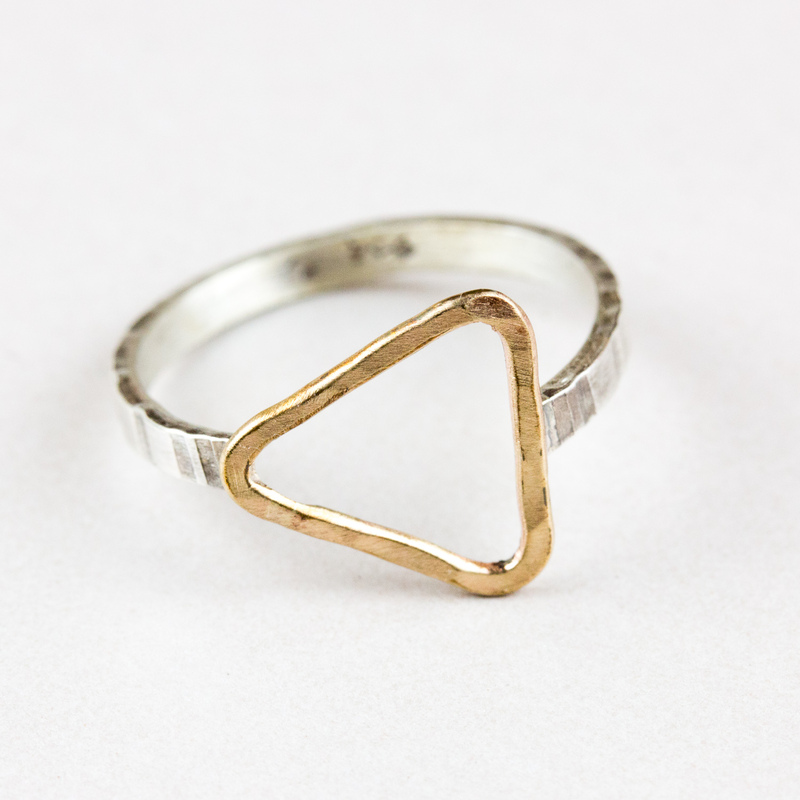 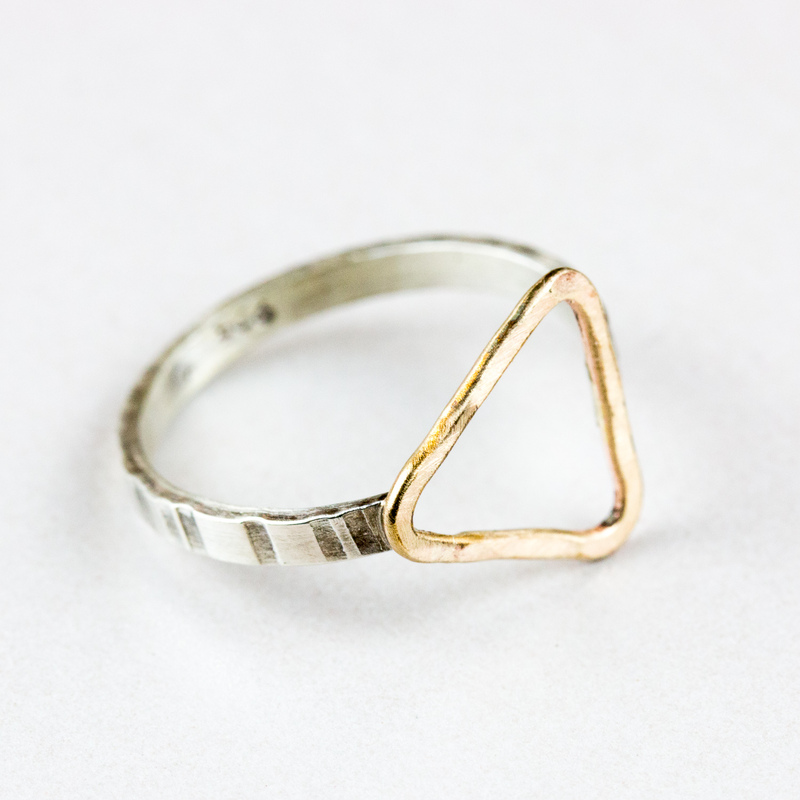 Delicate and minimal triangle ring with two tone hammered and brushed finish. 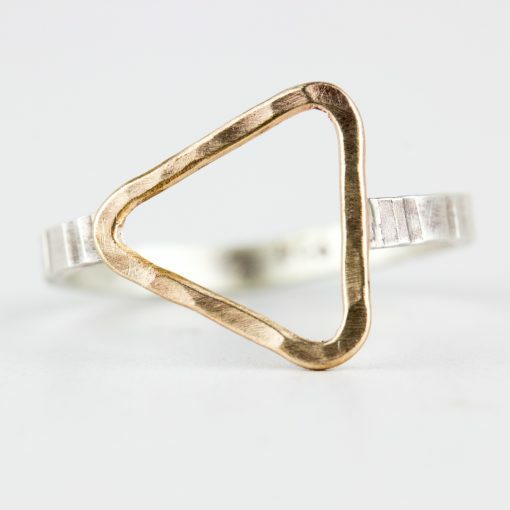 The subtle way the light collects and reflects off of the complimentary tones/finishes of this piece are so lovely! 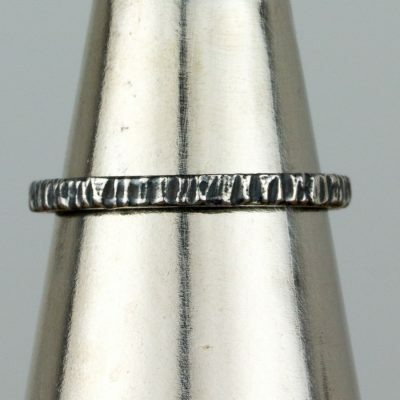 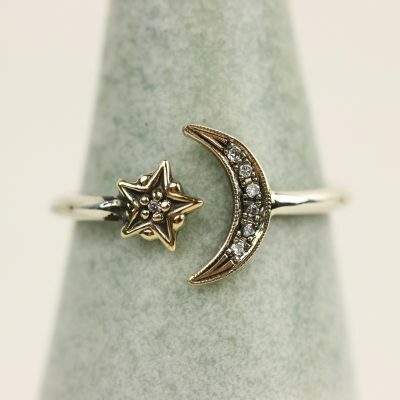 Sterling silver band with gold fill triangle. 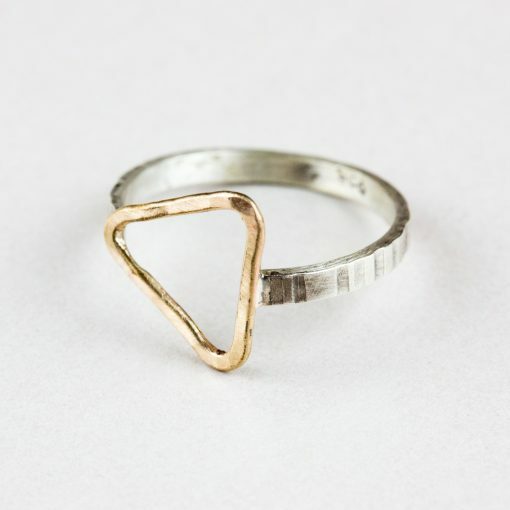 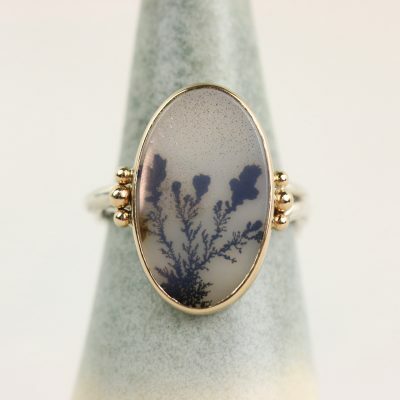 Hand made in Philadelphia, PA by J & I Jewelry.